If you, a friend, or a loved one are arrested in Las Vegas, Nevada, you will need to know how to secure a bail bond. If this is the case, you can connect with a qualified Las Vegas bail bondsman to help you with the process. At eBAIL, we can help you to secure to appropriate bond so that you can be free instead of waiting behind bars while you wait for your trial date to arrive. Once at the specific detention facility in or near LV, Nevada, the individual will be booked into the jail. A photograph and fingerprints will be taken as a part of the process. The detainee will have to wait for a hearing at the court in order for the judge to set a bail amount. The judge at the court will determine the amount of bail to be set. This is determined on the severity of the crime the individual is accused of and even the potential flight risk of that person. You have a few choices on how to proceed in order to be released from the facility. You can pay the full amount of the bail that is set by the judge. You will get this amount back when you show to trial after any fines and fees have been retained. If you do not have that kind of money, you can find a Las Vegas bail bondsman to help. You pay 15% to the bondsman who will then pay the bail and arrange to have the individual released. Another alternative is to hire an attorney to try to have the bail amount reduced, but it can take time to get another hearing with the judge. How does a Bail Bond in Las Vegas work? If you do not have the money to pay an attorney or the full bail amount, you can hire the services of a LV bondsman. You will be required to pay 15% of the total amount of bail that is determined by the judge. The bondsman will then go to the facility and pay the entire amount of bail so that the release process can begin. This can take several hours to complete the release process. You do not have to worry about shady tactics or unreliable sources when you choose to work with Marc Gabriel and eBAIL. We’re fully insured and the only bondsman in Las Vegas to be accredited with the Better Business Bureau. We maintain your confidentiality and will always treat you with courtesy and respect. Top attorneys in the region regularly refer their clients to us to help obtain release from one of the local facilities. We care about our clients. If you do not have the full 15% of the bail amount, we can work with you to set up payment arrangements that require little or even no money down. 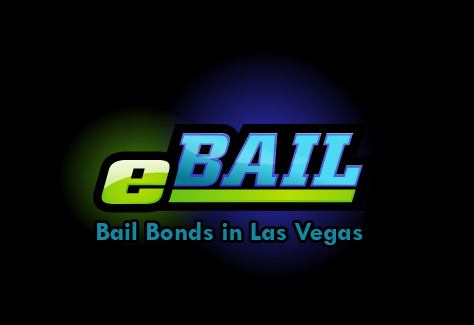 If you need to secure a bail bond in Las Vegas, eBAIL is the name to trust for exceptional service and results.